Aston Martin’s Casino Royale is a long way off. 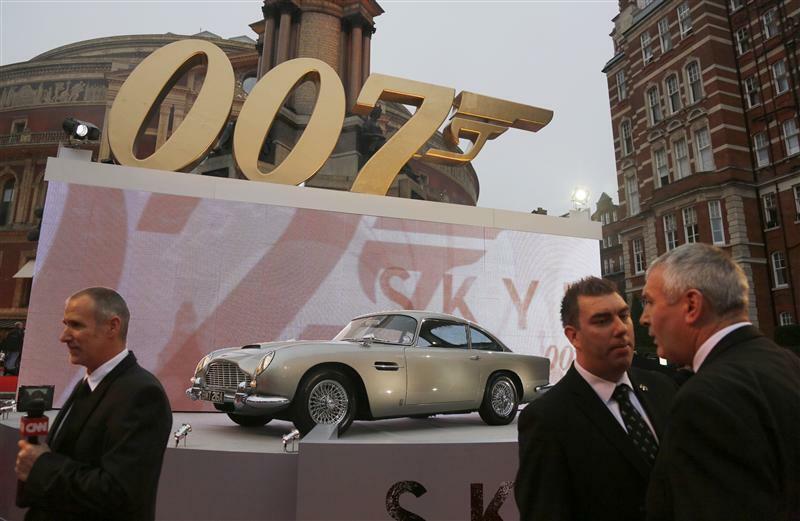 Life is hard for niche automakers, even when James Bond is a fan. Demand for supercars has wilted. And when funds are tight, vehicle ranges can grow as stale as the 007 franchise under Pierce Brosnan. A $400 million injection from a new investor would boost Aston Martin. Just don’t expect decent returns any time soon. The company’s financials make for dismal reading. It sold 2,340 cars in the year to Sept. 30, or 19 percent fewer than last year, holders of its junk bonds learned on Wednesday. Quarterly revenue plunged 16 percent to 100 million pounds. That’s even worse than last year, when Aston Martin’s net interest payments were roughly double its earnings before interest and tax. It has cut costs determinedly. But that stores up future trouble: creating coveted new cars requires adequate research funds. That’s presumably why Aston Martin’s main backer, The Investment Dar of Kuwait, is talking to India’s Mahindra and Mahindra and Italian buyout firm Investindustrial about selling some 250 million pounds ($400 million) of new equity in exchange for about a 40 percent stake, according to Reuters. That could double annual development spending to about 100 million pounds for five years. What would success look like? Aston Martin’s EBIT margins are around a narrow 2 percent, flattered by capitalizing most R&D costs. Assume it can reach a Bentley-style 7.5 percent. And suppose sales rise 50 percent between 2011 and 2017, matching luxury-car forecasts by IHS, to nearly 6,000 units. Even if it were to lift average unit prices 10 percent to about 142,000 pounds, it would only yield 63 million pounds of annual EBIT, most of which would go to creditors and taxmen. A decent shareholder return doesn’t look imminent. Maybe a better natural home for Aston Martin would be BMW or Daimler, where the cost of developing new engines and platforms could be shared with sister marques. Of course, former owner Ford neglected the brand, and neither German giant seems keen. That’s an uncommon outbreak of discipline in a historically spendthrift sector. Even securing a less orthodox investor, however, could provide Aston Martin some quantum of solace. Aston Martin is in “advanced” talks with potential investors over a capital injection, a spokeswoman for the British luxury carmaker said on Nov. 29, adding that the company was not for sale and existing shareholders were “very much committed” to the company. Indian tractor-maker Mahindra and Mahindra and Italian private equity firm Investindustrial, a former owner of the Ducati motorcycle company, have both bid for a stake in Aston Martin, Reuters has reported, citing people familiar with the discussions. Mahindra and Mahindra was aiming to strike a deal for an initial 40 percent stake that could rise to 50 percent for a total price that was unlikely to top $400 million, a person with direct knowledge of the matter told Reuters on Nov. 26. Aston Martin on Nov. 28 reported to bondholders that third-quarter revenue declined 16 percent year-on-year to 100.3 million pounds, while adjusted EBITDA fell 5 percent to 11.2 million pounds, as the launch of the new Vanquish model was delayed by five weeks, said Arndt Muthreich, a credit analyst at Knight Capital Europe. Year-to-date unit sales fell 19 percent to 2,340 and Aston Martin said it now expected full-year EBITDA to undershoot last year’s 76.1 million pounds, Muthreich said in an email. Aston Martin officials told an investor conference call the company had renewed an engine supply agreement with Ford that was set to expire in 2013, he added. A group led by two Kuwaiti investors, The Investment Dar (TID) and Adeem Investment, bought Aston Martin from Ford Motor in 2007 for 479 million pounds. TID defaulted on an Islamic bond in 2009 and began a $3.5 billion-plus restructuring last year. A 2011 bond prospectus showed TID owned 64.1 percent of Aston Martin, while Adeem owned 19 percent. Chief Executive Ulrich Bez and Chairman David Richards owned shares and options equivalent to a total 4.83 percent.